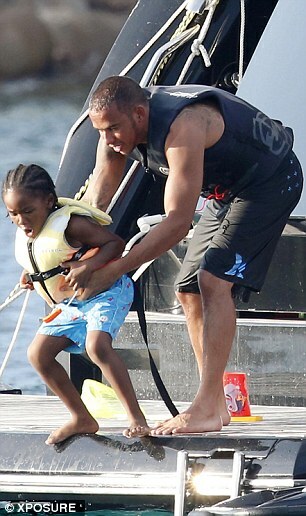 He's had a more than difficult year which has seen him split from long-term girlfriend Nicole Scherzinger. 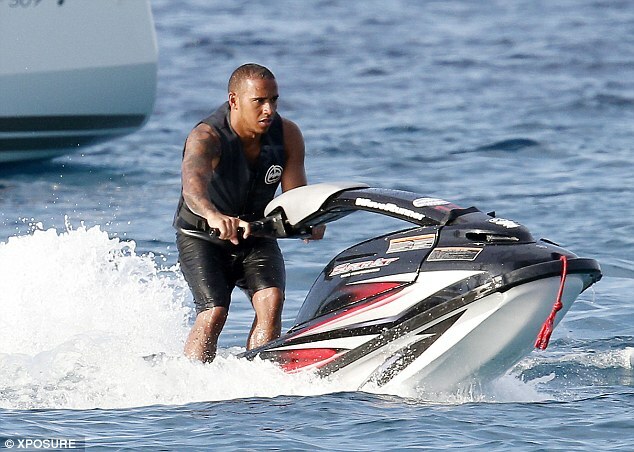 But now Lewis Hamilton is managing to smile again, and was seen looking in good spirits as he joined his family on a sun-drenched holiday in Sardinia, Italy, earlier this month. 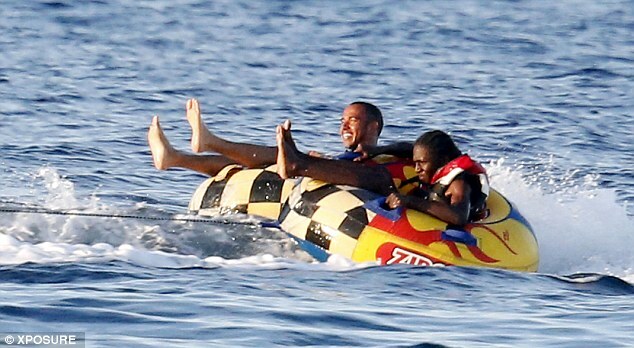 The 28-year-old racing supremo was seen making the most of the warm weather by relaxing with his holiday companions on the deck of the luxury yacht he had chartered. 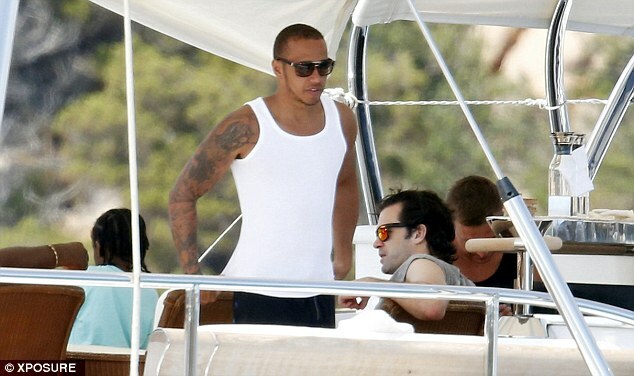 Wearing black shorts and a white vest, Lewis displayed his muscular and heavily tattooed arms as he enjoyed the break. 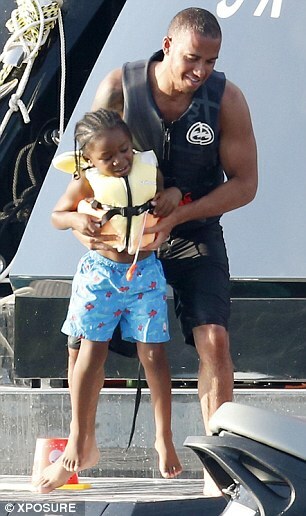 Later, Lewis was seen grinning from ear to ear as he was whipped around on the sea on a Zip Ski ring - a towable water ring. 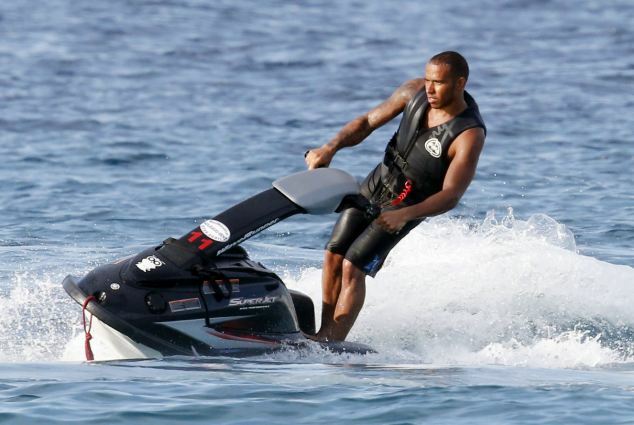 The break comes ahead of Lewis hoping for victory at Monza this weekend in a bid to repeat last year's display of taking pole position and then continuing to win the Italian Grand Prix. 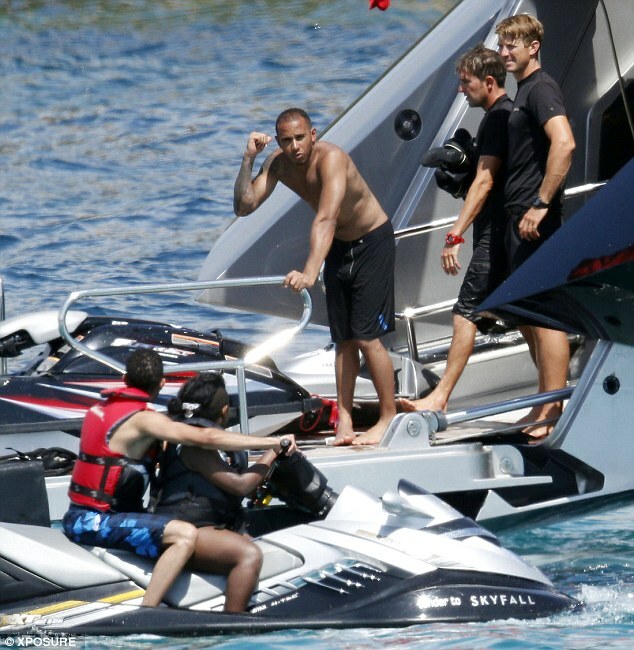 But it remains to be seen whether Lewis can put his personal dramas behind him and enjoy racing victory once again. 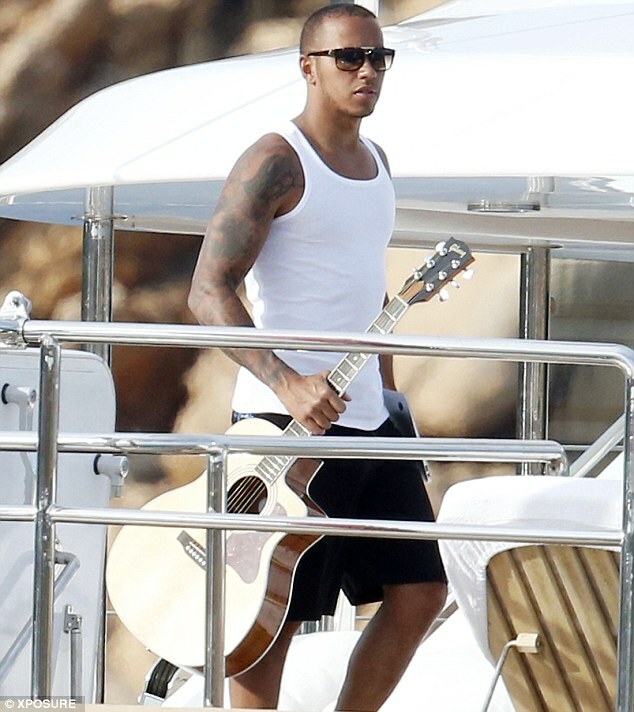 Last month, Lewis dedicated his Hungarian Grand Prix win to Nicole, after admitting his mind was on her all the way through his recent F1 race, and posted a series of emotional posts via Twitter in a bid to win the X Factor judge back. However, earlier this week, former Pussycat Doll insisted the pair are most definitely over. Despite his best efforts to win her back, Nicole has no plans to start up their relationship again since they parted ways in June. But she did tell Glamour magazine this week that the split has been anything but easy. She admitted: 'I've had a blanket of tissues over me many a night and ordered a random, ginormous pizza for myself. 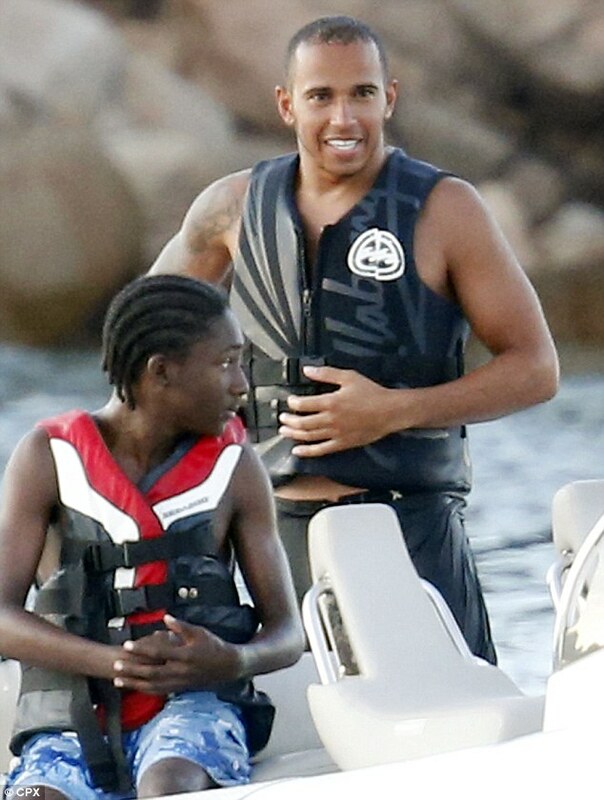 Before the split the relationship was reported to have been on the rocks for a few months, and hit a rough patch when Lewis was spotted partying with ten women in a London hotel at 5am.